One of the many reasons why you should work on your vocabulary before going for the IELTS test is the weightage IELTS gives to vocabulary in terms of score. It constitutes 25% of your marks in the Writing and Speaking sections and helps you understand the test content in the Listening and Reading sections, to say the least. A fair, if not a good range of vocabulary in the IELTS productive skills, i.e., Writing and Speaking helps you express your ideas better, in a way that you exactly mean and gives the examiner a better sense of the ideas you intend to convey. When it comes to Reading and Listening tests of IELTS, most of us have practised enough and yet have no clue how to get our answers correct. In these cases, having a wider range of vocabulary helps you not only understand the question, but also locate the answers through skimming and scanning, using synonyms and connect the contexts better. So for a more adept score in all the four sections of the IELTS tests, vocabulary plays a very important role. English doesn’t only consists of a list of 1000 words. Learning the meanings of all those words and knowing their appropriate usage is not viable to the human brain. 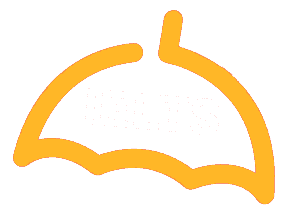 The list of words cannot cater to the range of topics IELTS might ask you questions on. Words learnt that way miss their context. Words are used in a context (within a sentence) and missing the context is not a very good idea. IELTS is not a test of your memory. So rather than learning a list of words and forget the words later, let’s try a different approach. Rather than going for the ‘golden list’ as it is often referred to, try and build a lexicon of appropriate words which can be used in various contexts to give accurate meanings. Remember: A synonym is a word that has a SIMILAR meaning, NOT the EXACT meaning. No two words can have the same exact meaning ever. So, there’ll always be a specific word which fits into a particular context exclusively. Let us now look into a method for improving your score. Step 1:Listen to English everyday. A lot of you might think this is a funny idea, but sit back and chew on it. How did you learn your mother-tongue while you were a kid? Did your family members read a dictionary to you every day? No. You listened to words while they spoke and picked them up as you grew up. Now you know why your parents told you stories when you were a kid! That is exactly you are as fluent as you are in your mother-tongue. Every language must be learned the same way as your learned English. So make sure you listen to English everyday, whether listening to your fellow passenger while travelling to work, in a classroom, watching a movie, a news channel, a stand up comedy or even an English song. Keep your ears open to English about any topic that interests you. There’s a reason why we were made to read in school. Reading helps you pick words, their spellings and contexts. Learning vocabulary while you are reading is a great way with effective results. It doesn’t need to a novel, you can even read advertisements, newspapers or anything you can lay your hands on, even if it is for 5 minutes a day. Now you may ask, “What if I don’t understand the meaning?” That brings us to our third step. We, as humans, are not dictionaries and it is very obvious for us to not know the meaning of something. What do we do then? The easiest, scientifically proven method is to guess. Try guessing the meaning from the context and if you can’t get a hold of the meaning, Google is always at your service. The previous steps might look very lame but it is only through this that we can attain vocabulary naturally, without having to learn a list of words. Once we have a word we do not know the meaning of, let’s work a little to get it into our system. How do we do it? There are various ways to do it. For example, Google gives you the meaning and its pronunciation. Go a little deeper and try building a sentence using that word. That will allow you to understand the context in which the word is to be used. Finding synonyms for it is another huge plus that will help you in your IELTS test. Lastly, do not forget to experiment with its other forms, for example, ‘decide’- deciding, decision, etc. Remember: Experimenting is good. So keep experimenting with words and check if it works (Step 6). Once in a while, try going back to those and use them in contexts. In time, you will be able to recall those words and use them without putting any extra effort into it and they become part of your vocabulary. Evaluating our choice of words often seem to be an option, but if you are really serious about IELTS, please make sure that you talk to somebody or use an app that can tell you correctly if you are right. Note: the words that you use should be colloquially correct. For example, you don’t ‘listen of’ but always ‘listen to’, you are never ‘interested with’ but ‘interested in’ something. To sum up, there is no magic trick that can teach you English in a day. So, work your way through it and it will surely help you not only in scoring high in IELTS but also during the time you spend your days in another country.